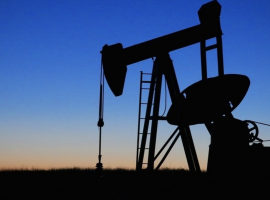 Is This The Most Bearish Oil Report Of All Time? 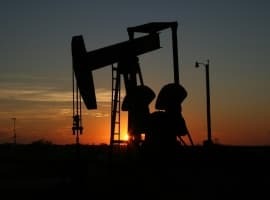 Oil prices plunged on Wednesday following data showing a massive buildup of crude oil inventories in the U.S., pushing WTI down to $45 per barrel, the lowest level since September. Oil stocks grew by 14.4 million barrels in the last week of October, the EIA said on Wednesday, the highest weekly increase on record. That was enough to push oil down by more than 3 percent, erasing just about all of the gains made since OPEC stoked the fire back in September with tentative plans to cut their production levels. Oil prices were already falling because of doubts over OPEC’s willingness and ability to cut a deal. After the latest flop in Vienna, the deep discord within OPEC makes a deal of any significance hard to imagine. "There were already worries about the OPEC agreement. It could take longer to rebalance the market, even if they succeed in finalizing the accord,” Joe Bozoyan, an equity portfolio manager at John Hancock, told Bloomberg. Related: Will Oil Majors Ever Recover? With pessimism creeping into the market because of OPEC, oil was already down into the $40s before the EIA data was released on Wednesday. The inventory build, pushed WTI down to $45 per barrel. "I wouldn't be surprised if by the end of the week or beginning of next week, we'll get to $42 or $41 a barrel, as very few believe OPEC will make cuts that matter,” Tariq Zahir, an oil trader with Tyche Capital Advisors, told Reuters. That echoes an estimate from Goldman Sachs, which saidWill Oil Majors Ever Recover? this week in a note to clients that a failure at OPEC’s upcoming meeting would send oil prices down to the low $40s per barrel. But the biggest reason that the EIA report might be an anomaly is the steep increase in oil imports, which helps explain the sharp jump in inventories. U.S. oil imports shot up to 9 million barrels per day in the last week of October, 2 mb/d higher than the week before and at the highest level since 2012. Imports had been lower in recent weeks, so the sudden surge at the end of October inflated the stock build figures. Because higher imports were essentially dumped into storage, there is little reason to believe that the U.S. will continue to import at such an elevated rate. As imports return to more normal levels in the weeks ahead, weekly changes in inventories will fall back to more normal levels. The effect then, could be that oil regains a bit of ground as the markets start to digest the fact that the inventory build does not indicate some renewed glut in the market. To be sure, the fundamentals are still weak, but little has changed from previous weeks other than the fact that the U.S. imported more oil than average in the last week of October. But beyond that potential short-term snap back effect, OPEC’s squabbles still loom large over the market. Their proposed cuts were never that deep to begin with, but the psychological effect has been huge. As such, the risk to oil prices over the next few weeks is more on the downside than it is on the upside. Is This The Beginning Of The End For U.S. Nuclear Power? How Realistic Are Current Climate Change Goals? This is nonsense. Total inventory of crude plus finished products is back to where it was only two weeks ago. It is 20 million barrels lower than where it was a month ago. Imports have been down for the last month, but did a partial catch up last week. My guess- it is because tankers stayed away while a couple of hurricanes went through. Yes Jim, I think this is only statistical noise. Hurricanes, several tankers late last week and now they unloaded all the same week. Additional statistical noice collecting the data. Nothing under a 4 week running average could be taken serious here - it's absolute ridiculous that traders take these numbers as argument to shift oil prices 10% up and down. On a sideline: I don't understand all these oil producing countries trying to pump everything they can. They invest lots of money to bash oil prices under their break even point, so they will start loosing money for every barrel they pump. So the US is producing about 8.5MMb/d, using about 19.4MMb/d (2015) and storing record amounts of crude? How can that be? It doesn't add up. The excess can't be from imports either. Gross imports for 2015 were 9.45MMb/d but were only net 4.71MMb/d because exports came to 4.74MMb/d. There is no excess to be stored, and especially at record levels. If I needed to spend $19.40 a month, made $8.50 and borrowed $4.71 how could I save money? I'd be spending everything I had and still be $6.71 short. Those are the numbers. Something is dreadfully wrong somewhere. Who controls imports of oil, and why would they allow such a large increase knowing that the market is already under pressure?